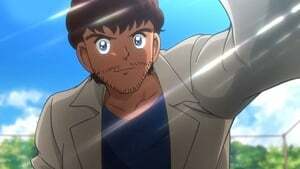 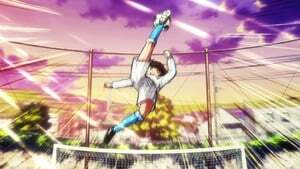 Wakabayashi received a challenge from Tsubasa. 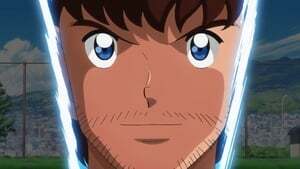 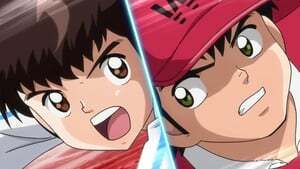 He couldn’t hide the confusion about the immense power of Tsubasa’s kick and says that he will accept his challenge if he can face the B-team of Wakabayashi’s school of which he is the captain. 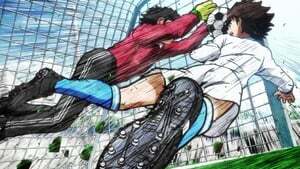 While Ishizaki complains about the unfair conditions, Tsubasa accepts without hesitation. 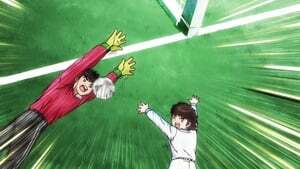 While the mysterious man Roberto Hongo watches over them, the two boys who later will turn the world of Japanese soccer upside down, face each other for the first time!